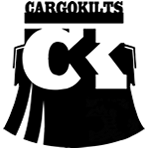 Cargokilts will custom make your kilt to fit you perfectly. From regular sizes, flat gut to beer belly, there is more to measuring than meets the eye. We have instructions on how to do this, but ideally we welcome you to visit our showroom in Springs, South Africa, for a personal fitting. We understand that this is not always possible, so do CALL us and we will guide you through the process personally. 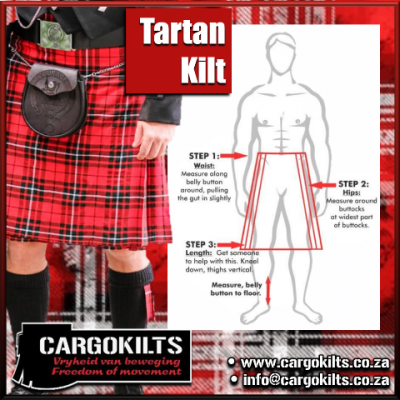 Measure for you Tartan Kilts as follows: • 1 • True waist around navel • 2 • Seat* • 3 • Navel to floor when kneeling (thighs upright) • * Seat- Stand with feet together and measure around the widest part of your seat. 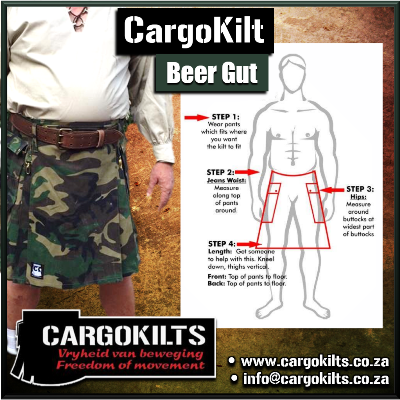 Measure for you Cargokilt (Beer Gut) as follows: • 1 • Jeans waist • 2 • Seat* • 3 • Top BACK to floor when kneeling (thighs upright) • 4 • Top FRONT to floor when kneeling (thighs upright) • * Seat – Stand with feet together and measure around the widest part of your seat. 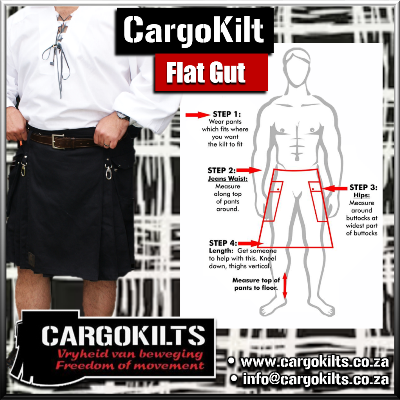 Measure for you Cargokilt (Flat Gut) as follows: • 1 • Jeans waist • 2 • Seat* • 3 • Top BACK to floor when kneeling (thighs upright) • 4 • Top FRONT to floor when kneeling (thighs upright) • * Seat – Stand with feet together and measure around the widest part of your seat.